Antique power boar speeding across Long Island Bay. 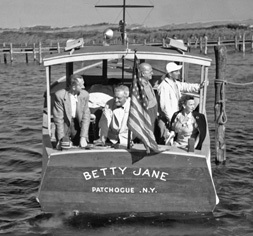 Wealthy summer residents enjoyed outings on the private steam boats such as this depicted on the old black and white photograph. 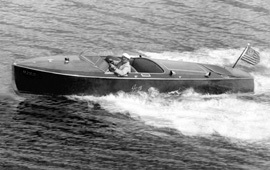 This print would make a wonderful addition to a collection of historical photographs of any one interested in history of antique yachts and personal steam boats.